Security clearance holders and applicants commonly run into security clearance problems under Guideline H of the Security Clearance Guidelines (Security Executive Agent Directive 4) because they don’t realize that the use of marijuana, even in states that have legalized it, remains illegal under federal law. I suspect that these guidelines will be amended in the next 3-5 years to change the use of marijuana from a complete ban to an abuse standard, but it remains a problem today for those in the security clearance world. Additionally, the manner in which marijuana is used is of no difference (gummy, chocolate, brownie, smoking) under the guidelines. We have seen individuals that have had security clearance problems for eating a single gummy candy which contained the active ingredients in marijuana. While we believe that these rules need to be changed, it is important to understand the implication of marijuana use for clearance holders. We have defended many security clearance clients who have engaged in the light (or even one-time) usage of marijuana, who have had difficulties in overcoming the presumption that even minor use makes one ineligible to hold or maintain a security clearance. If the usage was a long time ago, this can significantly help mitigate a security concern, but the trickiest situations arise when marijuana usage has occurred within the past year. The key in such cases is to attempt to mitigate security concerns by showing abstinence, changes in attitude, changes in associations with friends that engage in drug use and counseling, where needed. (g) expressed intent to continue drug involvement and substance misuse, or failure to clearly and convincingly commit to discontinue such misuse. It is critical not to underestimate the stakes involved when a security clearance investigation or appeal involves even light usage of marijuana. Even light usage of marijuana can cause the loss of a security clearance. This may change in the future as the government likely moves from complete marijuana abstinence to an abuse threshold when dealing with usage, but for today the use of marijuana while seeking a clearance (or even worse while holding one) requires a strong legal defense. Mitigation and the whole-person concept are keys to attempting to obtain or retain one’s security clearance. 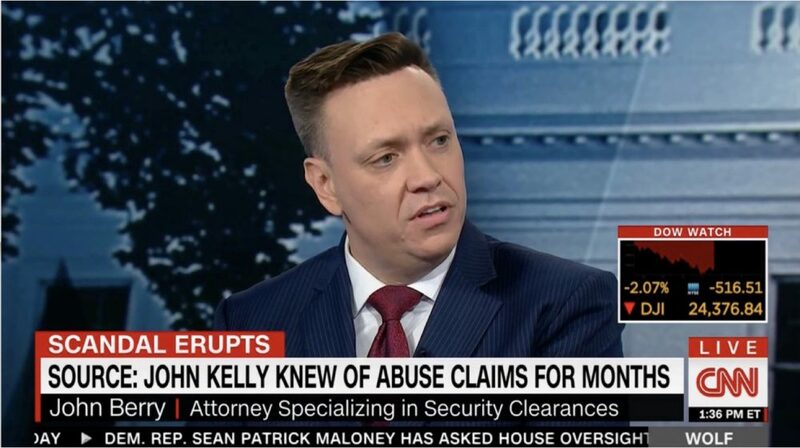 If you are in need of assistance in the security clearance process please contact our office at (703) 668-0070 or through our contact page to schedule a consultation. Please also visit and like us on Facebook or Twitter. This entry was posted in Drug Usage, Uncategorized and tagged legalization, marijuana, marijuana security clearance, Mitigation, Security clearance, security clearance attorney, security clearance attorneys, security clearance lawyer, security clearance lawyers by berrylegal. Bookmark the permalink.